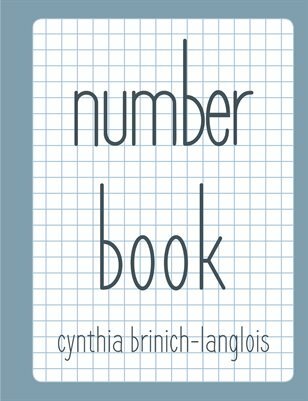 Illustrated children's book of numbers (0-20). Each spread has a large numeral on the left facing an illustration of an alliterative collection of plants/animals/other items. On the facing page, the number is also written out in word form, and the illustration is briefly described.